Laurie Lewis & The Right Hands from the USA embark on their first Australian Tour this November 2015. 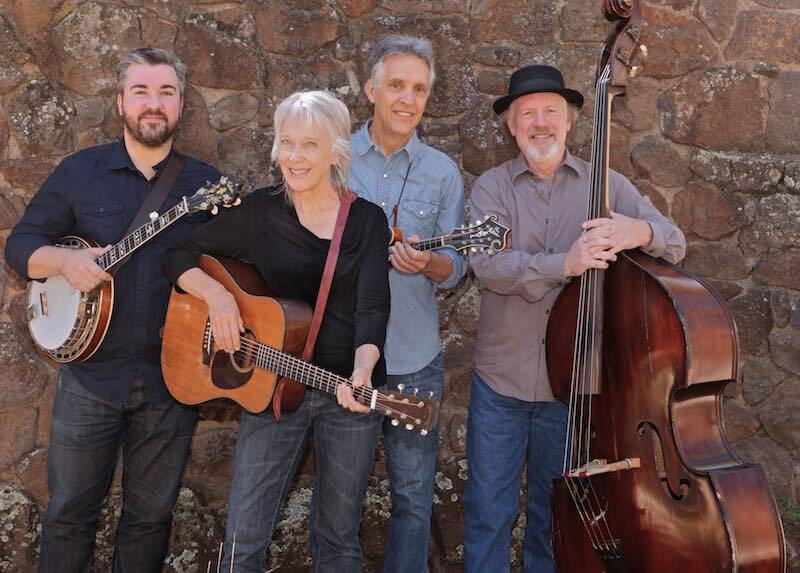 Laurie Lewis, US Grammy award-winning Bluegrass, Folk, Country singer, songwriter, fiddle-player, guitarist and music producer, embarks on her first Australian tour, with her band The Right Hands. The band been invited to Australia by the MountainGrass Festival to headline this years event at Harrietville, Victoria. As a lead-up to MountainGrass, they are playing a few select dates in NSW and Victoria. Laurie’s band includes leading US double-bassist Todd Phillips, a two-time Grammy winner, a long-time member of Joan Baez’s band, and player with the likes of Jerry Douglas, Tim O’Brien and Taj Mahal. Another member of Laurie’s band is Patrick Sauber who was the banjo-player in the movie ‘A Mighty Wind’. Judging by the respect she has among fans and peers in the industry, Laurie is one of the pre-eminent bluegrass and Americana artists of our time. She spreads her talent over several genres – bluegrass, folk, country – and with the recognition she has within all those fields, I would certainly say she’s one of the top five female artists of the last 30 years – Dan Hays, Executive Director, International Bluegrass Music Association. Laurie’s stellar band consists of Tom Rozum on mandolin, Patrick Sauber on banjo, and Todd Phillips on double bass. Tom Rozum is a highly regarded mandolinist, whose rhythmic approach to mandolin punctuates the band’s repertoire, adding a distinctive verve and excitement to their shows. He is a also a fine lead vocalist, and the ideal harmony partner for Laurie. Patrick Sauber has recorded or performed with many artists, including Doc Watson, Herb Pedersen and Richard Greene, and was the banjo-player in The New Main Street Singers in the folk-music satire movie, ‘A Mighty Wind’. He also played on the soundtrack CD and toured with the film’s cast. Two-time Grammy winner, Todd Phillips, is regarded as one of America’s finest acoustic bass players, as well as a talented mandolinist and a much sought-after acoustic music producer. He was a founding member of the seminal David Grisman Quintet, and has worked with some of acoustic music’s finest, such as Joan Baez, Jerry Douglas, Tony Rice, Tim O’Brien, Vassar Clements, Ricky Skaggs, Sam Bush, Stephane Grappelli, Taj Mahal, John Hartford, Chris Thile, Del McCoury, Natalie McMaster, and many more. You can read more on Laurie Lewis and The Right Hands on their Website, or visit their Facebook page.